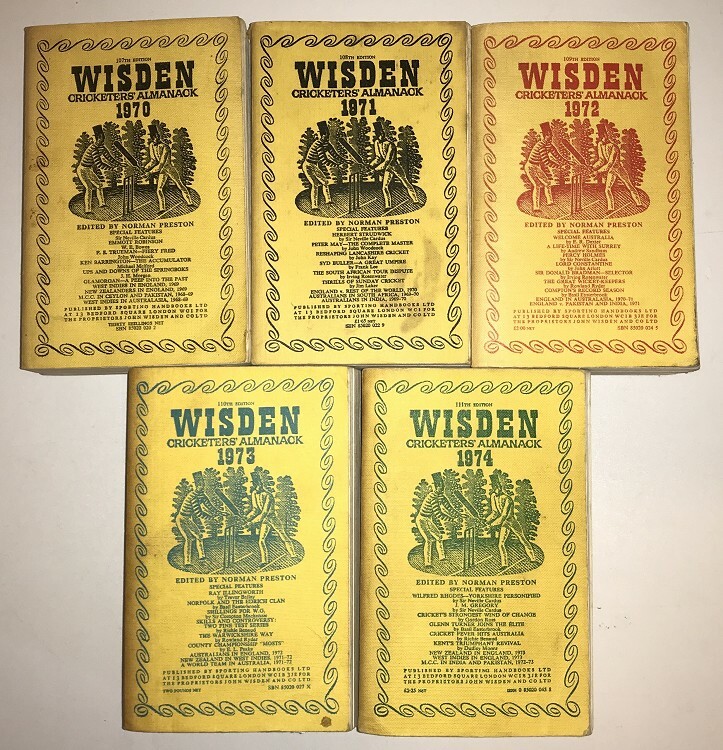 A set of 5 Wisdens, in a run from 1970 to 1974, all Linens. The books are in OK condition, so I'd say 5/10s a lot of marks to the covers but internally they are decent books, cheap gap fillers, fill 5 at once. Nice inside. More photos on request. May split, just ask. Other sets for these years or others available.